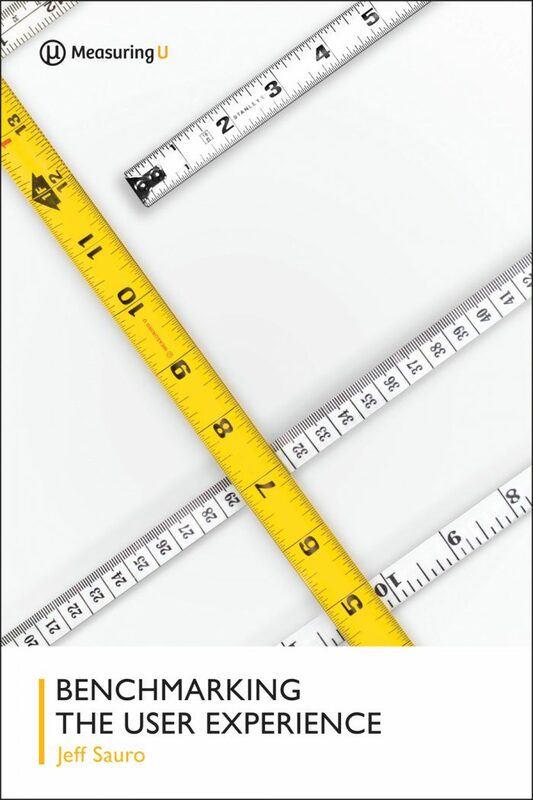 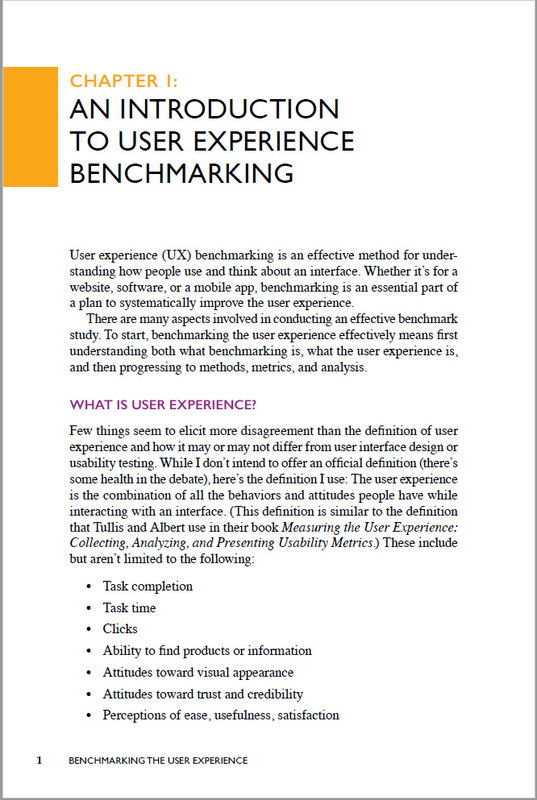 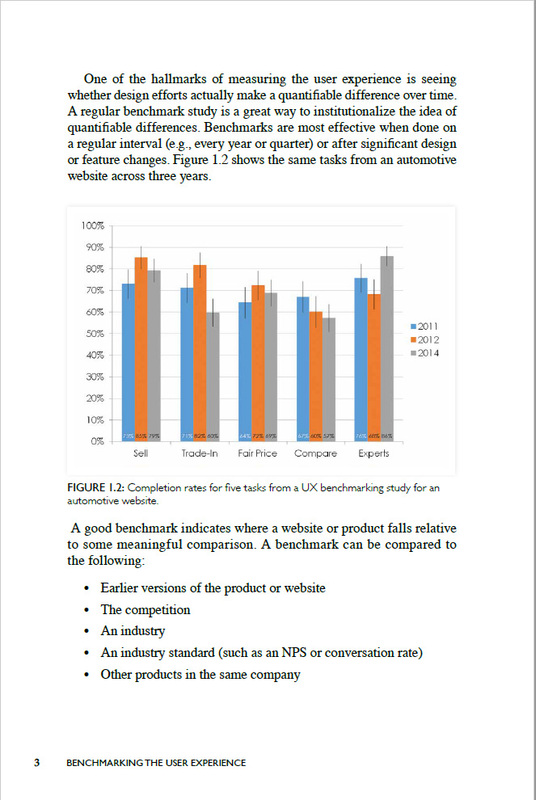 Benchmarking the User Experience is a practical book about how to measure the user experience of websites, software, mobile apps, products, or just about anything people use. 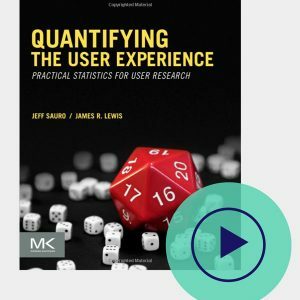 This book is for UX researchers, designers, product owners, or anyone who has a vested interest in improving the experience of websites and products. 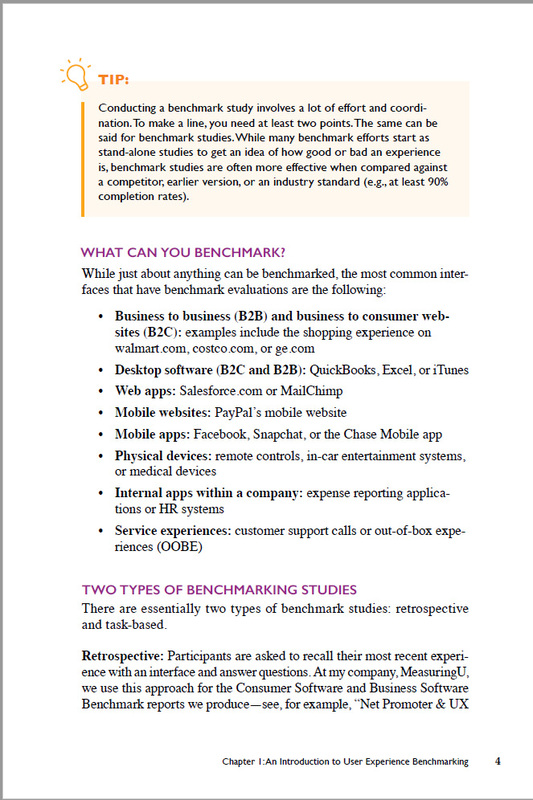 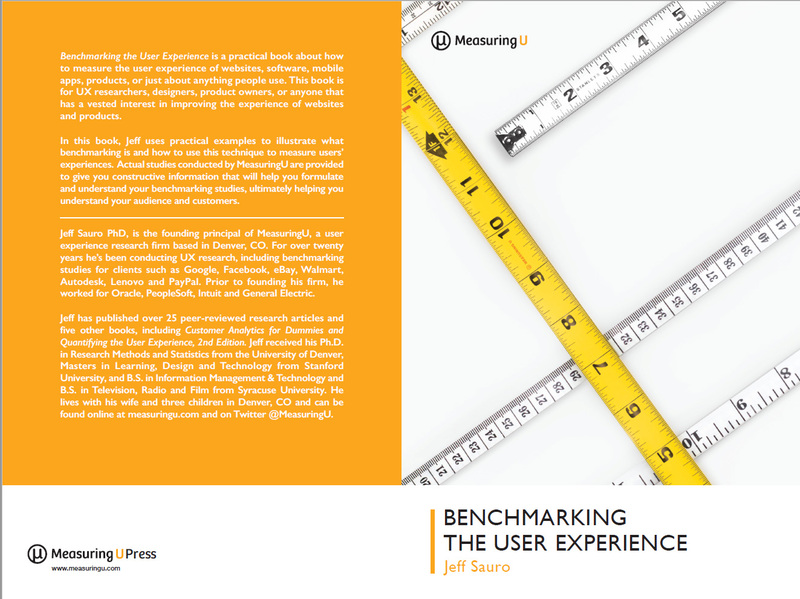 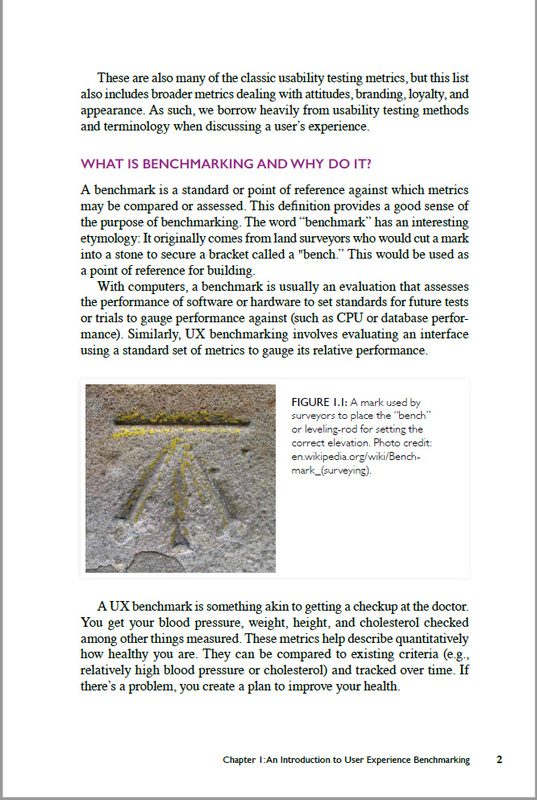 In this book, I use practical examples gleaned through my years of experience to illustrate what benchmarking is and how you can use this technique to measure users’ experiences. 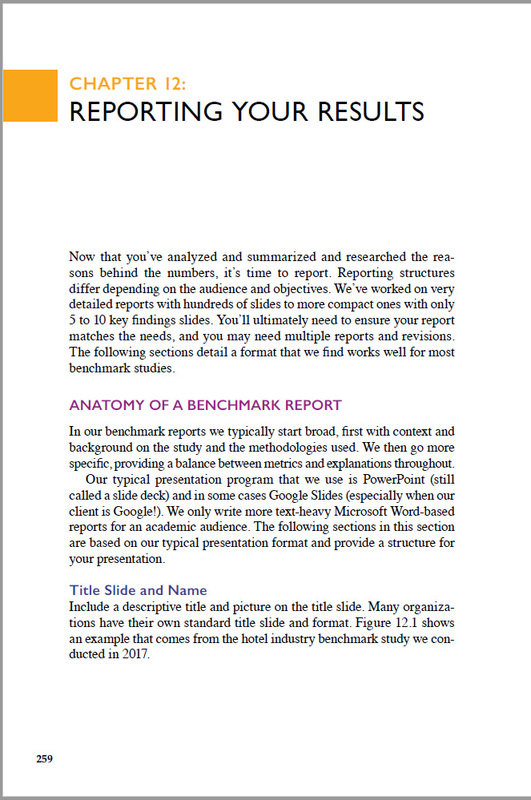 I use examples of studies that the team at MeasuringU, a quantitative research firm that I founded, have worked on to give you constructive information that will help you formulate and/or understand your benchmarking studies, which ultimately helps you understand your audience and customers. 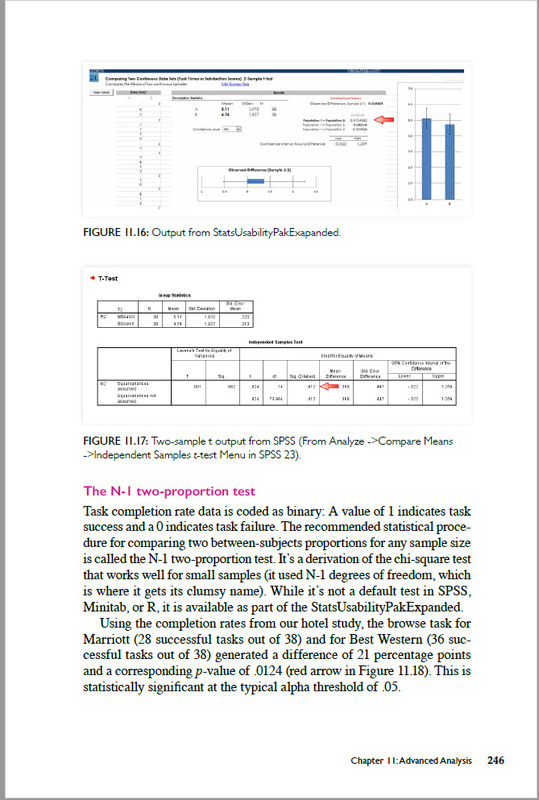 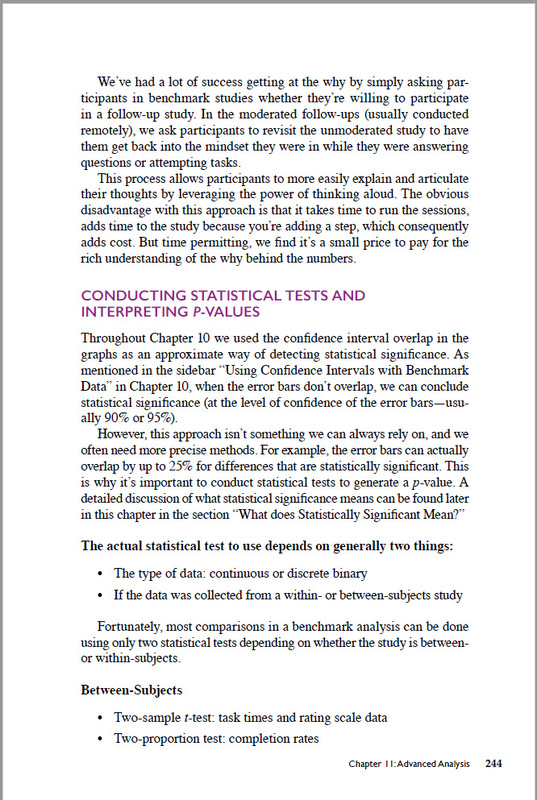 This is an electronic (downloadable) PDF copy of the book. 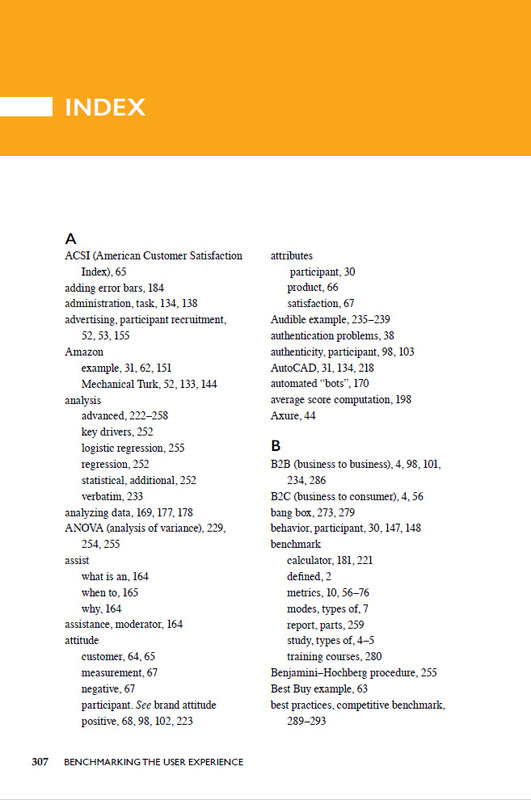 You can also purchase a full color hard copy on Amazon.